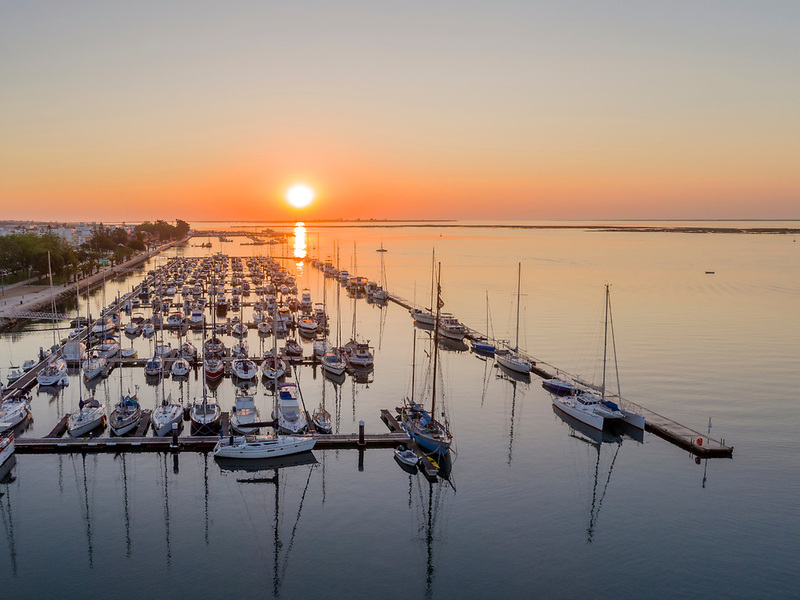 Sunrise aerial seascape view of Olhao Marina, waterfront to Ria Formosa natural park. Algarve. Sunrise aerial seascape view of Olhao Marina, waterfront to Ria Formosa natural park. Algarve. Portugal.